The installation options are manifold. Everywhere where water can escape, there is a place for the small appliance: in the sink, under or next to the washing machine, in the basement or in the bathroom. For hard-to-reach areas, the extension set or the Sense + variant is the right solution. Sense Guard goes a step further and even shuts off the water when it detects a pipe break. Especially when you are not at home, this feature is especially useful. In the event of a water leak, action is taken immediately and no major damage can occur. 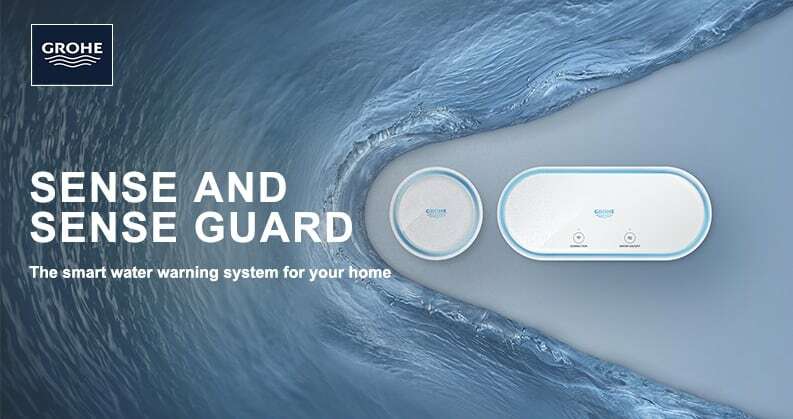 In addition, Sense Guard measures the system temperature and alerts you to freezing water. This can be especially useful in second homes and holiday homes. Another advantage of Sense Guard is that it will forward your consumption data to the Ondus app. This allows you to track your daily water consumption and take countermeasures if it gets too high. It also allows the system to detect unusual usage and warn you. For example, dripping faucets and other leaks in the pipe can be detected. 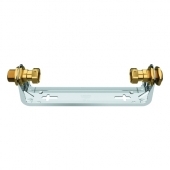 Unlike Sense, Sense Guard is installed directly on the main water pipe. 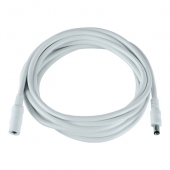 Therefore, the installation should also be carried out by a professional. Within one hour you will have full protection against water damage. 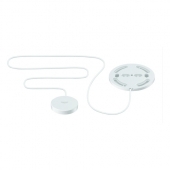 Both systems can be easily combined with the GROHE Sense Set, consisting of a Sense Guard and three Sense sensors. Depending on the type of water pipes and the normal consumption behavior, it may take a different amount of time before the water is switched off, so GROHE recommends combining the two systems in order to achieve a completely safe result. GROHE has also thought about the inhabitants of a smart home. This is how Sense Guard works with Nest and allows you to shut off the water when you leave the house. This can be done immediately or with a time delay. When you come home, the water is automatically turned back on. So you can safely enjoy a new security against water damage. Visit our GROHE brand store and learn more about Sense and Sense Guard.